Due to the heavier usage in a commercial environment and the lower likelihood of proper maintenance, our standard warranty applies to residential usage only. 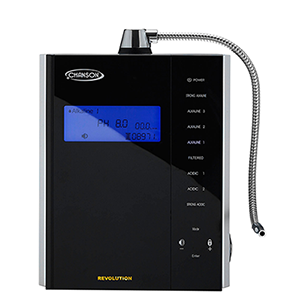 Commercial accounts have a full 5 year warranty on the Revolution, which is only intended for commercial use. Maintenance logs are required to be kept in order for the warranty to be honored. Warranty is only valid for the original purchaser and for ionizers sold by Chanson Water® USA or an authorized dealer of Chanson Water® USA. Repair work can only be done through the Chanson Water® USA repair center in Louisville, KY or an authorized repair center. Never attempt to open or service a Chanson water ionizer, this will immediately void your warranty. Please thoroughly read the owner’s manual and watch the installation video before attempting to use your ionizer. 9 plate Revolution: For the first five (5) years all parts and labor are covered with customer paying shipping both ways. After the designated warranty has expired, the customer will have to pay for labor, parts and freight charges. 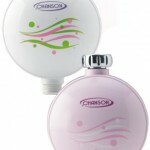 All Chanson Water® filtration systems are covered under our 5 year warranty. The warranty covers the filter housings, hoses and connectors. There are no exclusions to this warranty. Chanson Water USA, its manufacturer or its installers will not be responsible for subsequent damages caused by water leaks for any reason. Always be sure your water pressure and plumbing system are up to national plumbing code. Water pressure should never exceed 60 PSI. 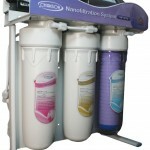 For the Chanson Nano-Filtration System there is a one (1) year warranty on the motor and all electrical parts. The warranty expressly covers all failures due to defects in materials and/or workmanship; which can occur during normal use. This is a “repair or replace” warranty, Chanson Water® USA will always attempt to repair your unit, if repair is not possible Chanson Water® USA will supply a replacement unit at its discretion. The warranty covers all parts and labor as described above. Customers take full responsibility for any shipping costs to and from repair center for warranty work and for any duties or customs fees incurred. Damage caused by: failure to replace filters in a timely manner. The filter not only cleans the water but also protects the ionizer from damage caused by particulates in the water. Filter replacement time should never exceed 12 months. Please refer to owner’s manual for specific details. We highly recommend that ionizers operating in hard water areas be cleaned by the customer with Chanson’s citric acid cleaning procedure no less than twice a year–or three times a year for heavy use. Commercial use may require weekly cleanings depending on water use volume AND be sent in to the service/repair center for a thorough internal cleaning once every 2-3 years. Please check with your dealer. There are no express warranties except as listed above. The warrantor is not responsible for incidental or consequential damage; or damages arising out of the use of any unauthorized attachment. All express and implied warranties including the warranties of merchantability and fitness for particular purpose, are limited to the applicable warranty period. Your Chanson Water ionizer includes the warranty outlined above. However that doesn’t include repair of accidental damage. Accidents such as dropping your unit can be covered with our optional accidental damage program. If you break it, we’ll fix it. You can have this peace of mind for up to 10 years for only $199. We will repair any damage occurred and get your unit back to you in no time. Our accidental damage plan may only be purchased within the first 90 days of your ionizer purchase and cannot be added on later. So buy now and rest assured that your new unit will be protected no matter what befalls it. Customer pays shipping both ways. Chanson Water® also has warranty repair locations in Australia, Canada, Denmark, Germany, Norway, New Zealand, Spain, United Kingdom, Italy, Taiwan, and United Arab Emirates. We do not accept returns purchased from our authorized dealers or commercial accounts buying at below retail pricing.